The South African Environmental Observation Network (SAEON), in collaboration with the South African National Biodiversity Institute (SANBI), will be launching a unique, first of its kind book in South Africa. The book titled Field Guide to the Offshore Marine Invertebrates of South Africa will be launched at the Two Oceans Aquarium in Cape Town this coming Thursday, 10 May 2018. The book is an identification guide to the marine creatures (invertebrates) of the offshore deep-sea floor. It is also a result of a long-term invertebrate monitoring program which saw a dedicated team of researchers who, working together in advancing South Africa’s marine biodiversity knowledge, collected, recorded and managed large amounts of specimens and data from 2007 to 2017. The field guide is seen as a significant milestone in the description and mapping of South Africa’s deep-water invertebrate biodiversity. The information presented in the book advances taxonomy and biogeographic research by contributing to the description, mapping, assessment (and thus the improved management) of marine ecosystems in South Africa. In addition to the book compilation, the monitoring programme has also enabled a rapid increase in local knowledge and understanding of offshore invertebrate taxonomy in South Africa and laid a foundation for the classification, description and mapping of offshore benthic ecosystems. Venue: Two Oceans Aquarium, V&A Waterfront, Cape Town. For more information and for interviews please contact Dr Lara Atkinson on Lara@saeon.ac.za or (+27) 82 712 7790. 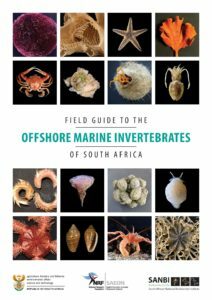 Image: Book Cover – Field Guide to the Offshore Marine Invertebrates of South Africa. SAEON is a national facility of the National Research Foundation. About SANBI: The South African National Biodiversity Institute (SANBI) is mandated to monitor and report on the status of the Republic’s biodiversity. 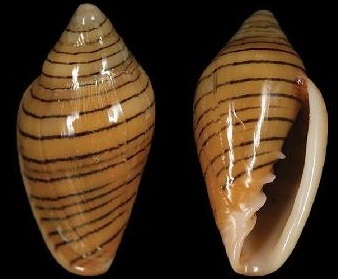 Its activities include undertaking and promoting research on indigenous biodiversity and its sustainable use; establishing and managing collections of plant and animal specimens; managing and maintaining all National Botanical Gardens, with their facilities for horticultural display, environmental education, visitor amenities and research; collecting and disseminating information about biodiversity; assisting in the development of a national biodiversity framework, including bioregional plans and strategies; and coordinating programmes in conservation and sustainable use of indigenous biological resources and the rehabilitation of ecosystems. About the NRF: The National Research Foundation (NRF) was established on 1 April 1999 as an independent statutory body in accordance with the National Research Foundation Act. The NRF is a key public entity responsible for supporting the development of human resources for research and innovation in all fields of science and technology. The organisation is one of the major players in educating and training a new generation of scientists able to deal with South African and African needs. The organisation encourages public awareness and appreciation of science, engineering and technology, and facilitates dialogue between science and society. Its vision is to contribute to a prosperous South Africa based on a knowledge economy. For more information on the operations and programs within the NRF please visit www.nrf.ac.za. About SAEON: SAEON is a business unit of the National Research Foundation (NRF) and serves as a national platform for detecting, translating and predicting environmental change through scientifically designed observation systems and research. SAEON also captures and makes long-term datasets freely accessible, and runs an education outreach programme. SAEON has six nodes dispersed geographically across the country.